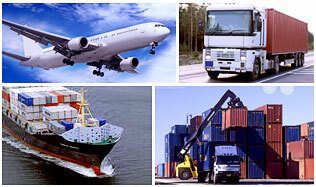 As an expert on marine, air and inland transportation of imported/exported goods, cargo insurance, custom clearance, warehousing, distribution, and chartering, Zephyr logistics co.,Ltd forms its special concepts on logistics and makes full use of modernized electronic commerce system to provide timely, accurate, and valuable services to meet our customers demands. Guided by the company’s operating faith, our staffs keep paying great attention on customer and market. Effective management policy, commitment to high standards of quality and fast-response global commercial network remarkably differentiate Zephyr Logistics Co., Ltd in the global transportation market. Established in 1993, Zephyr Logistics Co., Ltd is recognized as one of the most reliable and competitive international IATA and FIATA member in China. Based on more than 200 offices and agents all over the world, Zephyr’s services could reach nearly each port of the world and provide a full chain of logistics solutions.